There are many things that excite Lori about Bowenwork; the most significant is its effectiveness with pain management and chronic conditions. What brought her to do the training to become a practitioner was that after 12 years of having fibromyalgia, she received Bowenwork from a student wanting to practice what she was learning. Lori went into remission and 6 years later she has stayed in remission….this result is Lori’s compelling WHY she does Bowenwork. It works like no other modality she has ever received or done. During the last 35 years Lori has taught many courses and classes such as Herbal Medicine, Natural Health, Swedish massage and Shiatsu, so becoming a Bowenwork Associate Instructor was a natural progression in her professional evolution. She loves sharing information about the body, health and how to be in charge of one’s own wellbeing. Lori loves learning from the students as much as she loves teaching them. She also enjoys the interaction and connection with her students and contributing to their own evolution personally and professionally. 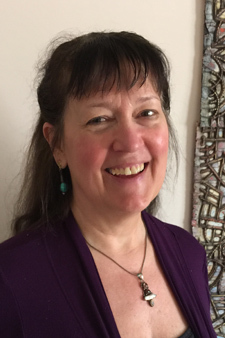 Lori experiences teaching as a spiritual connection with others and with life.